Bridal Makeup Packages for brides are designed keeping in mind their requirements, which are determined through elaborate consultations. 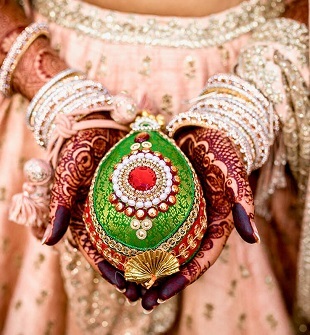 Gone are those days when Indian brides used to be dressed for their big day by friends or family. 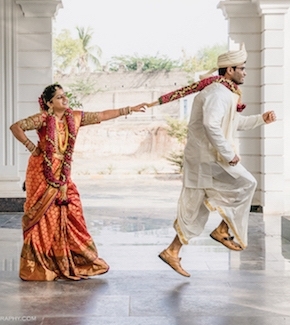 Who’s not excited about getting married? Most people are thrilled with the exception of those under duress when they got married. A wedding is the most important event in the life of a person. It’s the start of a new process, i.e. building a new family. 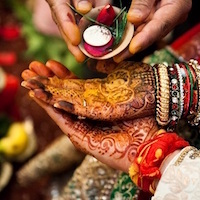 The wedding is the utmost symbol of commitment and the foundation of love for your partner. It’s a declaration to the whole world of your unquestionable affection to your partner. Kesar, natural oils, Most of the bridal makeup packages include everything -hair spa, facials, body massage, manicure, pedicure etc. The difference lies in the products used. You should always go for 100% natural products. Avoid packages where the treatments contain both natural products and ingredients along with the products which contain hidden chemicals. haldi, herbs are far more gentle on human skin than those harmful chemicals. As you plan to flaunt your designer lehenga with absolute confidence and elegance, it is time to work on your body. You should ask your makeup expert whether their pre-bridal packages include an effective toning plan which won’t require you to starve to death right before the wedding. If it means enrolling in a gym few months prior to the wedding, you better go for it. Body massages once or twice a month along with body packs should also be included in the package. Do go for waxing if you have excess hair on the arms and legs. The best pre-bridal packages are those which include pedicure, manicure, nail art, and even permanent nail paints. Only when you are completely satisfied with the pre-bridal package and know exactly what is included and what not, sign up for it. You must have scoured Pinterest and Instagram for months to find those best wedding hairstyle ideas for your big day. To try those exotic hairstyles you need healthy hair. Ensure that your hair is in good hands and it is assessed by experts at the beginning of the trial session. Girls who want to get their hair coloured must do so at least 10 days before the wedding. Ambika is a well-known makeup artist in the country and is known for doing the makeover of many celebrities and Bollywood actresses. She has 7 salons in Delhi and i is in Kochi. Shalini Singh is a professional makeup artist and has also worked with country's leading fashion designers. Her makeup studio is known as Style studio and is located in Panchsheel Enclave. Bharti is popularly known for a gold facial in India. Her clientele list includes the likes of Sushmita Sen, Madhuri Dixit, Riya Sen etc. She is running a makeup clinic known as Alps Beauty Clinic which has 8 branches in Delhi. Chandni runs a popular salon by her name Chandni Singh in New Friends Colony, Delhi. She is a bridal makeup expert and offers a variety of hair and beauty treatments in her salon. Gunjan runs a makeup studio which is popular by the name, Gunjan Mongia Makeup and Hair Studio, located in Naraina Vihar, New Delhi. She is a professional and expert in airbrush makeup.